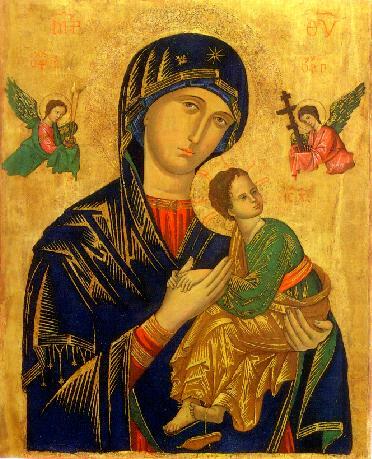 The parish of my childhood is named Our Lady of Perpetual Help, after the fifteenth century icon of the Blessed Mother, holding her frightened son in her arms, the signs of His forthcoming passion in the background. Today – June 24 – marks the feast day of Our Mother of Perpetual Help, also called our Mother of Perpetual Succour. 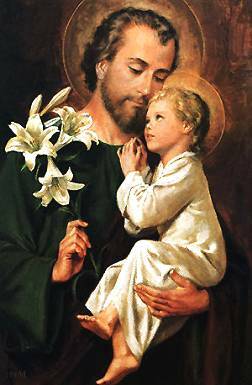 Let us remember her, especially in our moments of difficulty, fear and/or doubts, that like the Child Jesus, we too may leap into her waiting arms and find our consolation, help and protection. Mary, God Bearer (Theotokos), Holy Mother of God, Pray for Us! Note: The term Theotokos in reference to Mary as the Mother of God, was defended by St Cyril of Alexandria (whose feast is also celebrated on June 27th), against Nestorius’ claim that Mary could not be the mother of God because Jesus had two distinct persons – Divine and Human – and Mary could only be mother of the human person of Jesus. The Nestorian heresy was condemned at the Council of Ephesus 431, which affirmed the teaching that Christ is a divine person who assumed human nature. St Cyril of Alexandria, pray for us!